As a designer and seamstress, I love making original looks that you can't buy online. 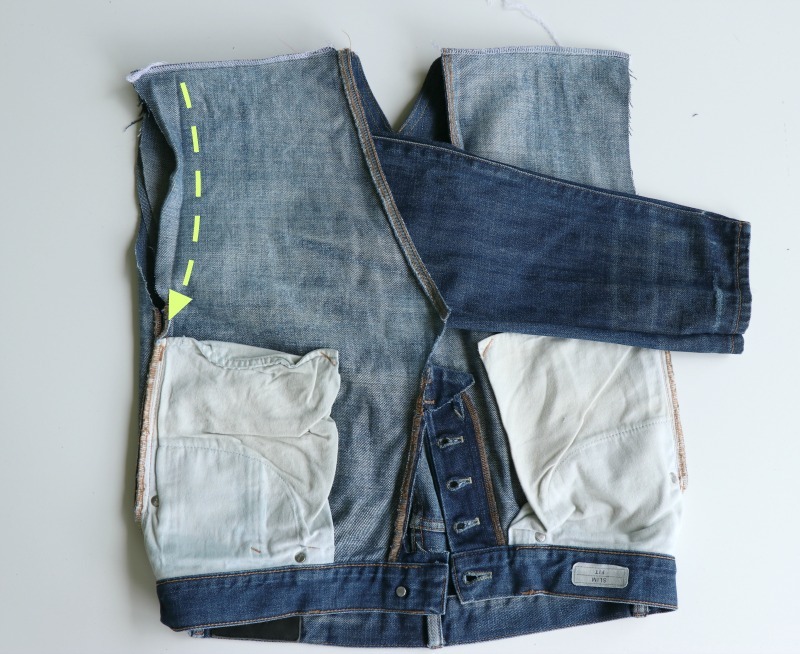 I prefer to redesign garments into interesting street style look like this pair of jeans into a jacket. I got a lot of interest when I shared this on Instagram so I decided to create a tutorial. For this one I added a Make it Coats zipper for the front closure which brought the whole look together nicely. 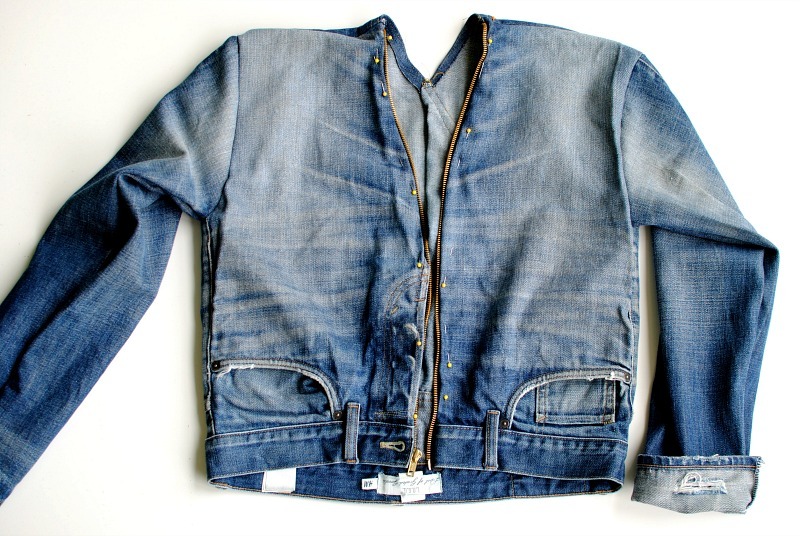 Get the details below on how to turn a pair of jeans into a jacket. 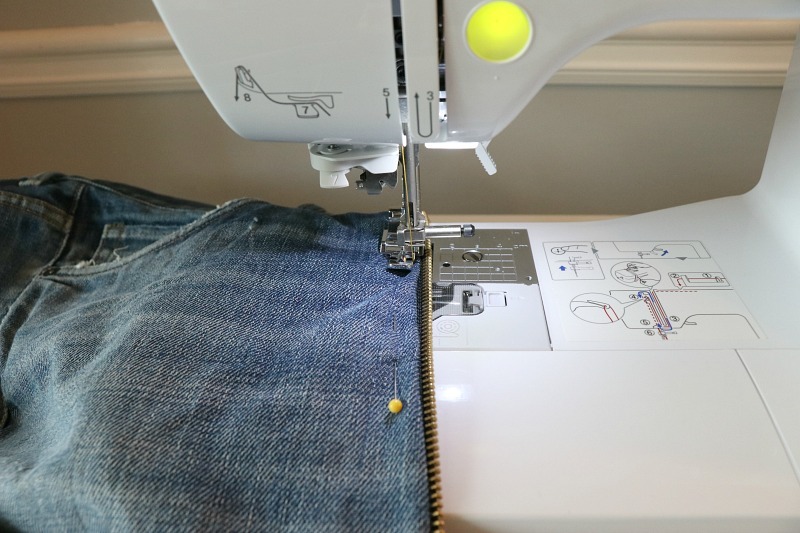 Use a pattern (either garment or sloper) to get an idea of the measurements. I wanted the bodice to be somewhat cropped and the sleeves to fit passed my wrists. If you're not sure just cut at the center knee point. 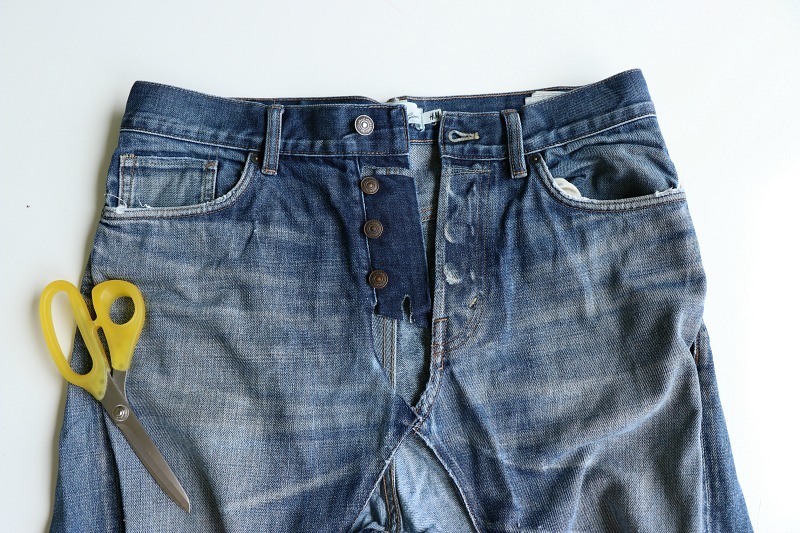 Cut open the inner seam of the jeans. Cut the center front, zip fly. You will need to get trick with this. 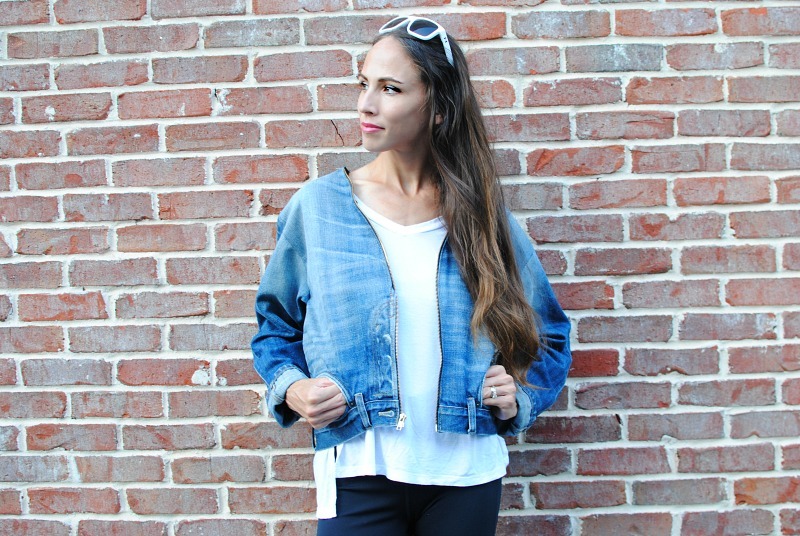 Make sure to keep the original hem so you can use it for the front of the jacket. 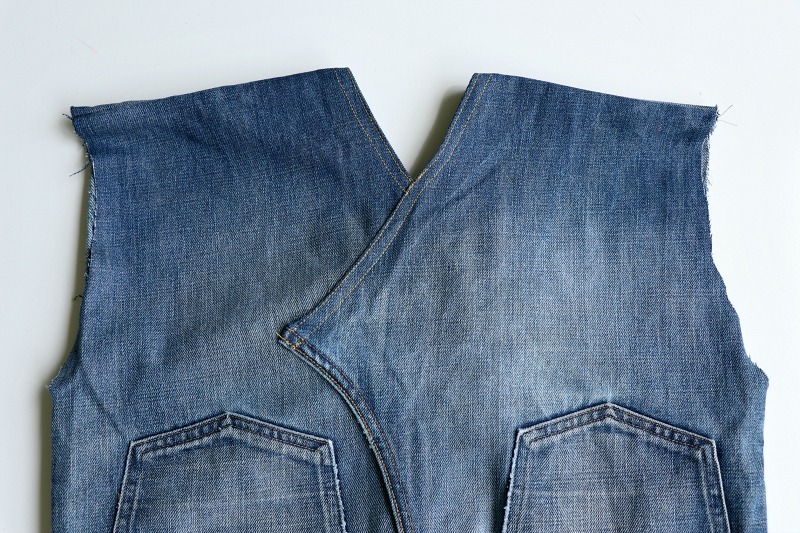 Measure your shoulder to a couple inches below the underarm to get an idea of how long the sleeve opening should be. Then cut a slight curve as long as your measurement. Mine was 9" and went about 1.5" in. 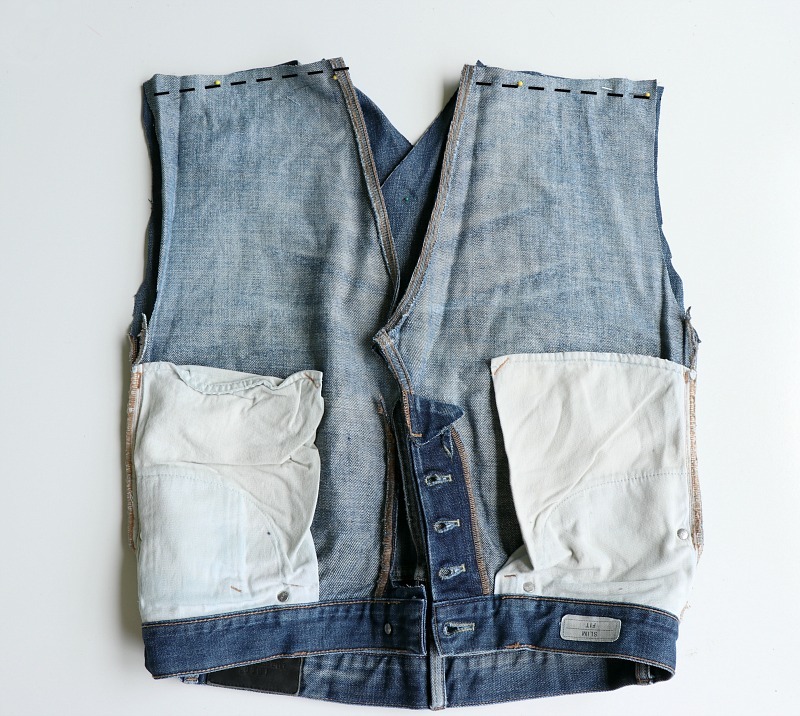 For the back, fold over the center back seam to lessen the opening and create a back bodice piece. 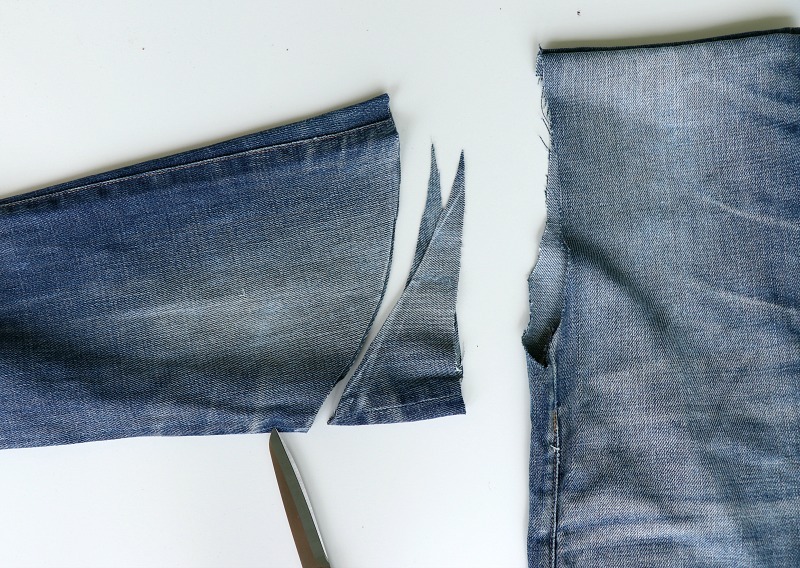 Fold over the raw edge and pin into place. 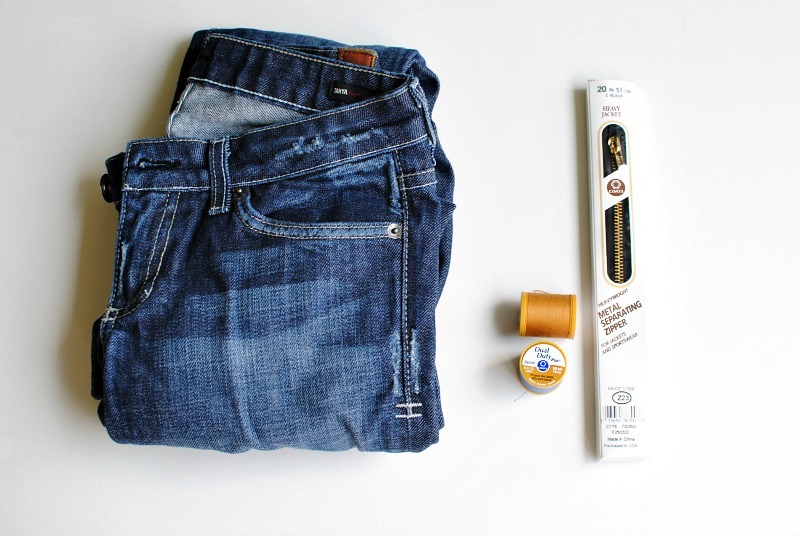 Top stitch with the Coats Jeans thread in gold. 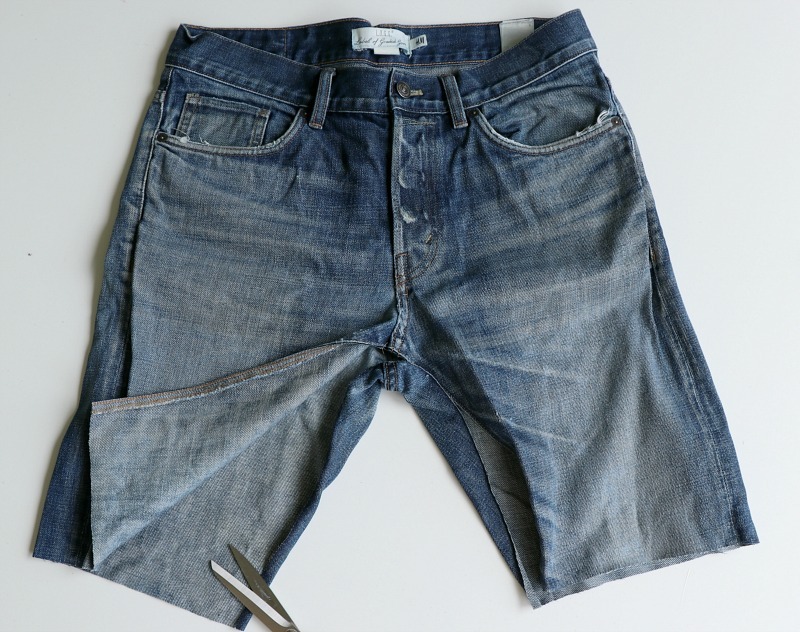 You can use a twin needle for this or just sew 2 sets of stitches side by side to mimic the topstitch on the jeans. Here is how the back should look. 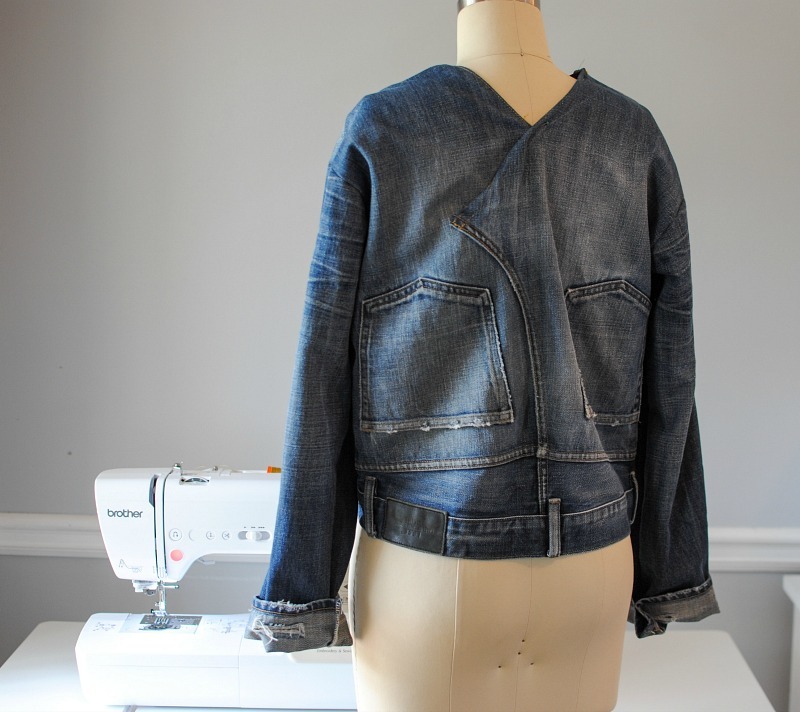 Place front and back right sides together and sew at the shoulder seams. (I used a 5/8" Seam Allowance). For the sleeves. 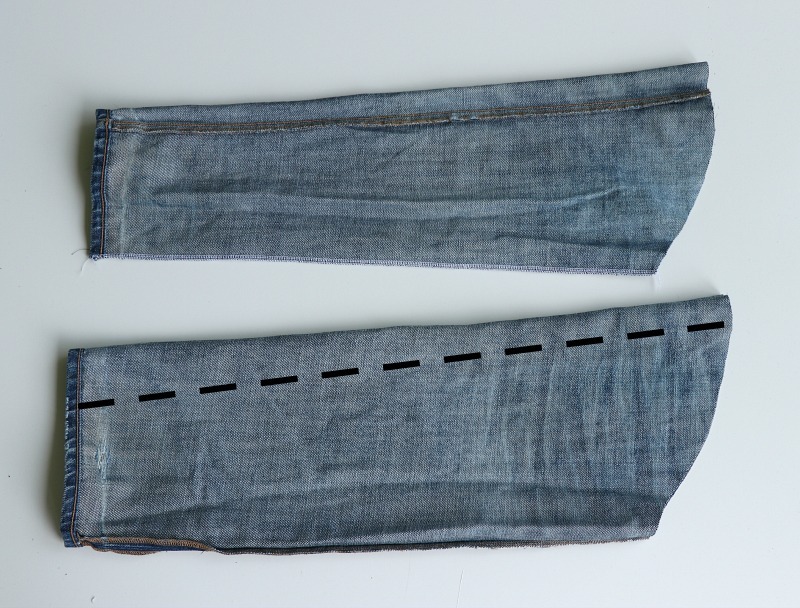 Take the bottom of the jeans which will be your sleeves. Place the cut edge next to the arm opening on the bodice. 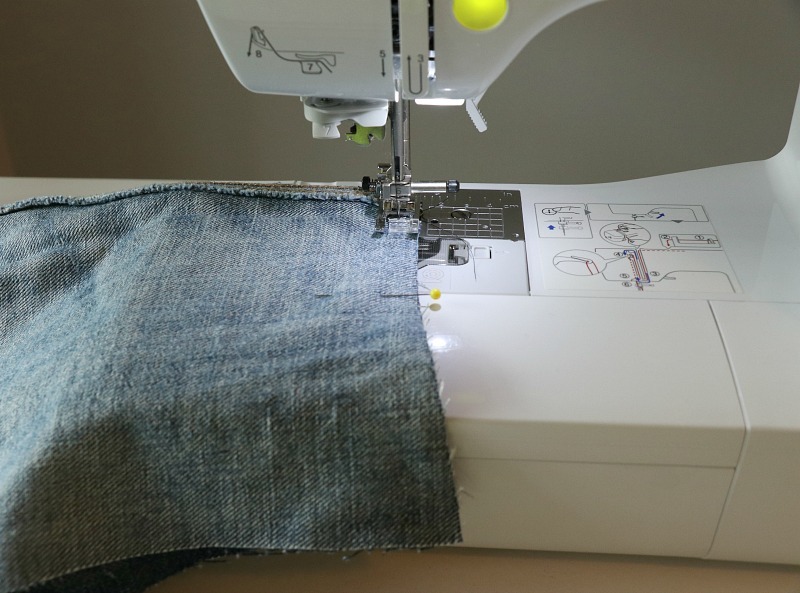 The outer top stitch should be along the shoulder seam and the inner seam which is typically not top stitched should be along the underarm. Cut a curve similar (along the raw end) to the arm opening you did on the bodice. Repeat for both sides. 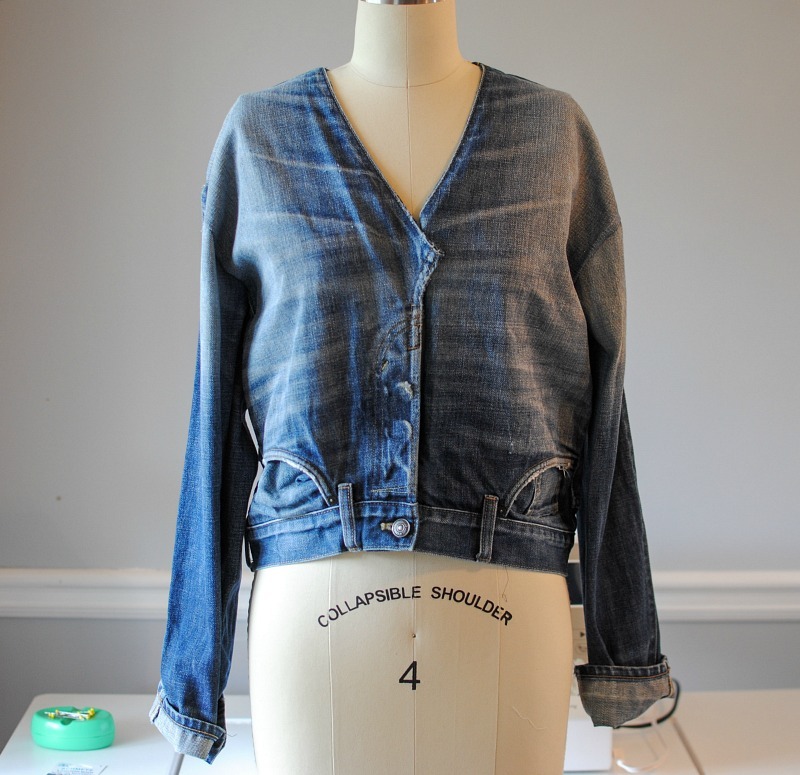 If the sleeves are too large for your arms, sew them in right sides facing. Place sleeve in the arm opening so right sides are facing and sew. It will now look like this. 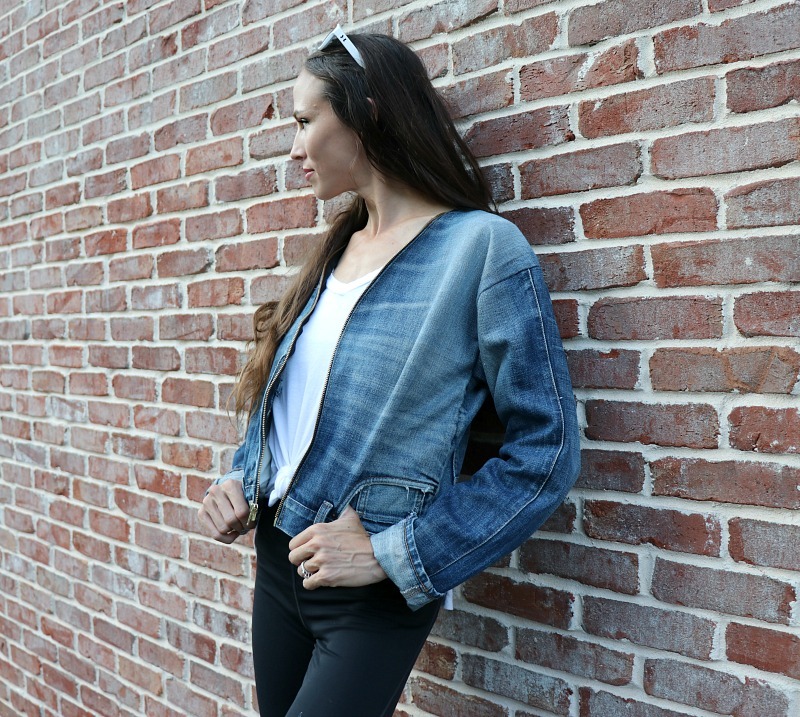 You can use the front zip fly as the closure or add a zipper like I did below. 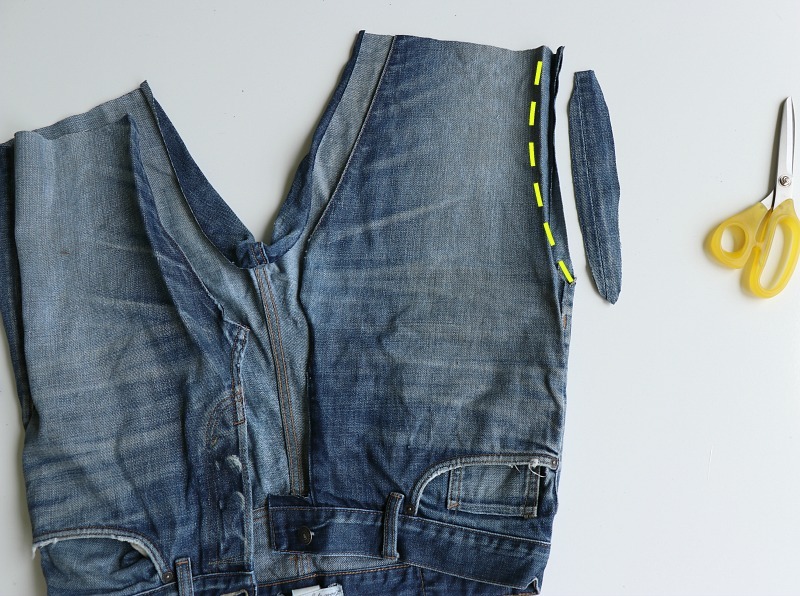 To add a zipper: Open the separating zipper. Fold over the center front edges, press if need be and pin the zipper on. 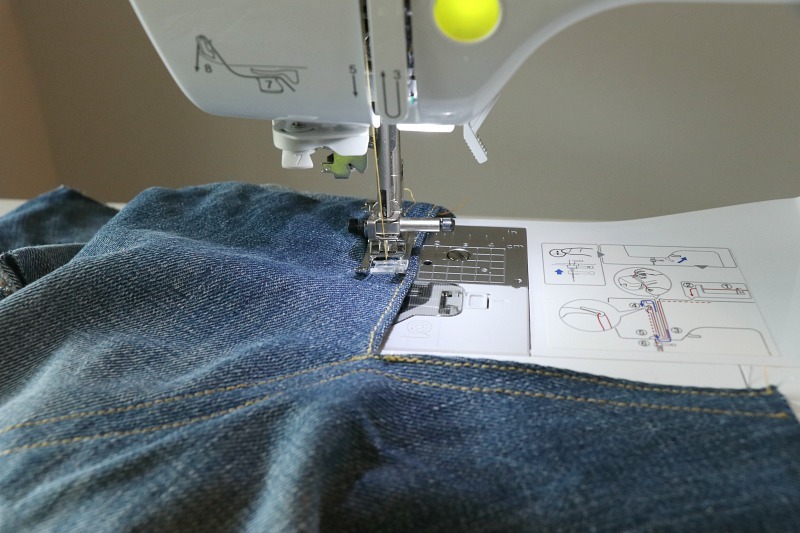 Top stitch the zipper into place using the zipper foot and the jeans thread. 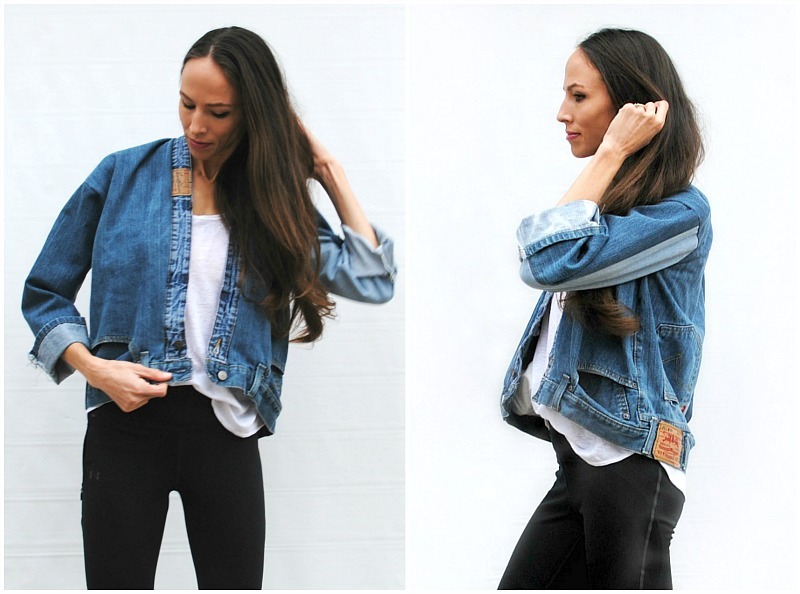 Now you have a one-of-a-kind jacket from a pair of jeans. 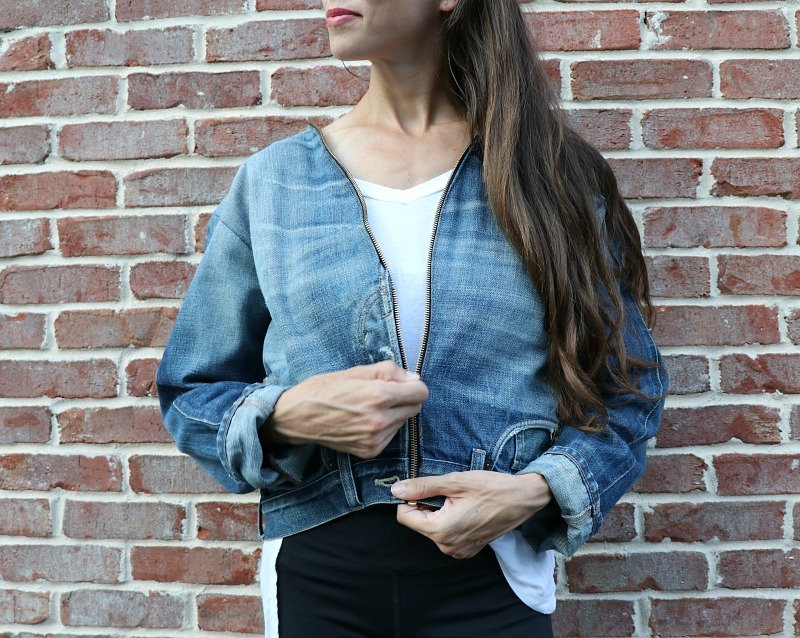 I can't help but laugh when someone asks me where I got my jacket, "oh, my husband's old jeans!" This is the coolest idea! I just can't get over how creative you are! 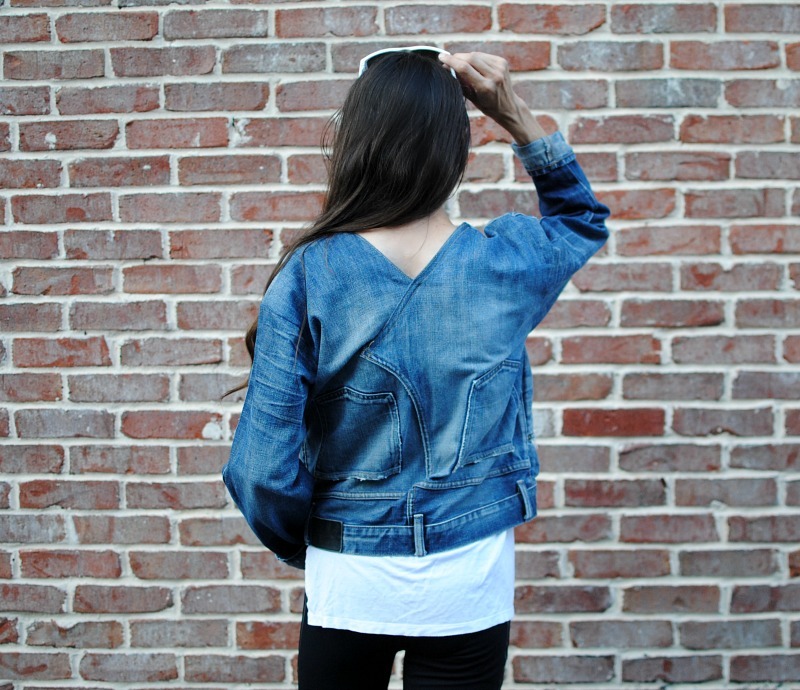 I love how you created sleeves from the jean legs! 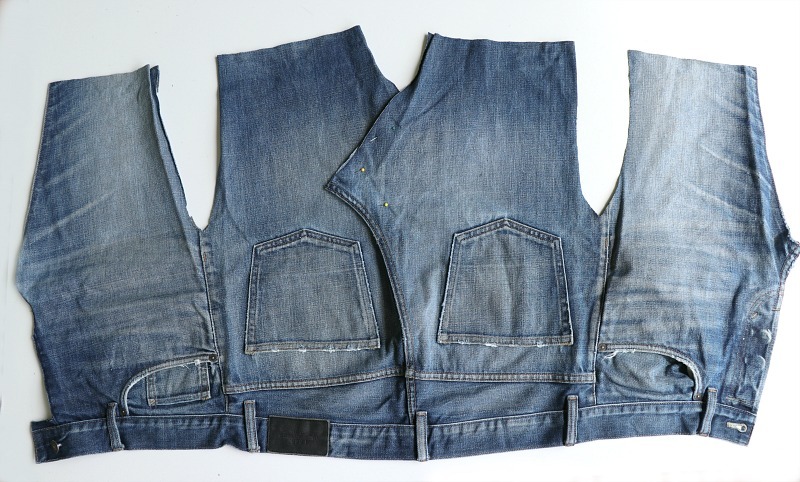 I've done jean refashions, but this is just sooooo cool! Here the homepage for how to hack fallout shelter online without downloading any file or something. 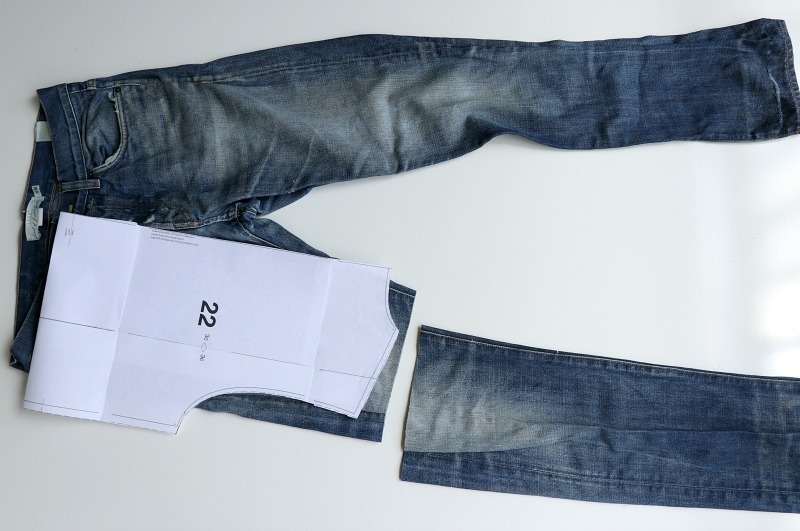 What size men’s jeans were used? Love it and your tutorial is easy to follow. I tried mine a little different wish I'd seen this one first but definitely trying yours soon.